Ahhhh. It feels so good to have a project complete! 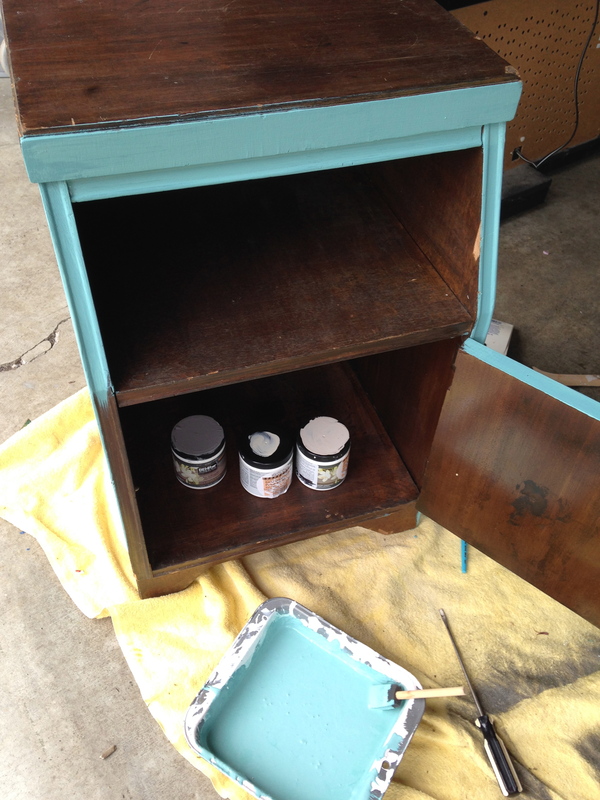 Some days I don’t have a lot of time, but I had a day off, and finished painting a nightstand that I purchased at the Goodwill outlet a couple of months ago for $6. 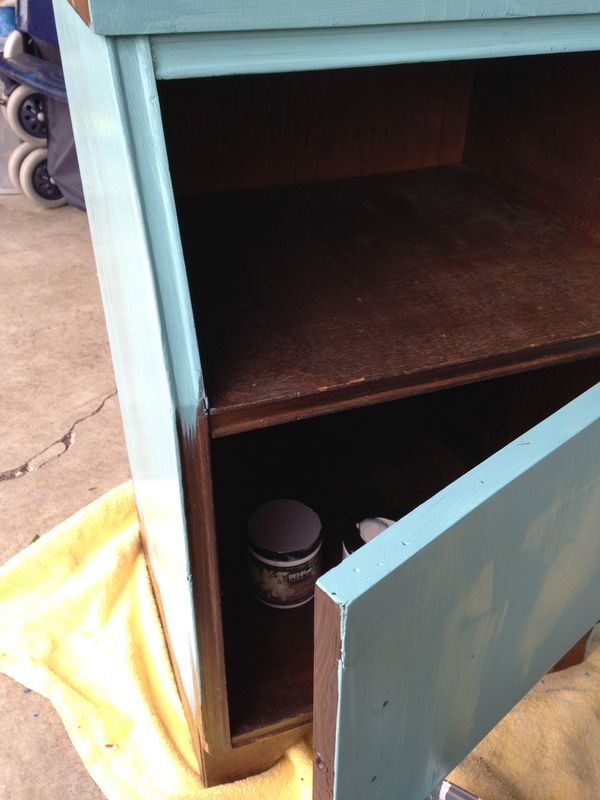 I liked the shape and the height for some reason…and I just felt like I could experiment with making my own chalk paint, and achieving a distressed “pottery barn” look by using Vaseline! I always paint and forget to take a before pic! 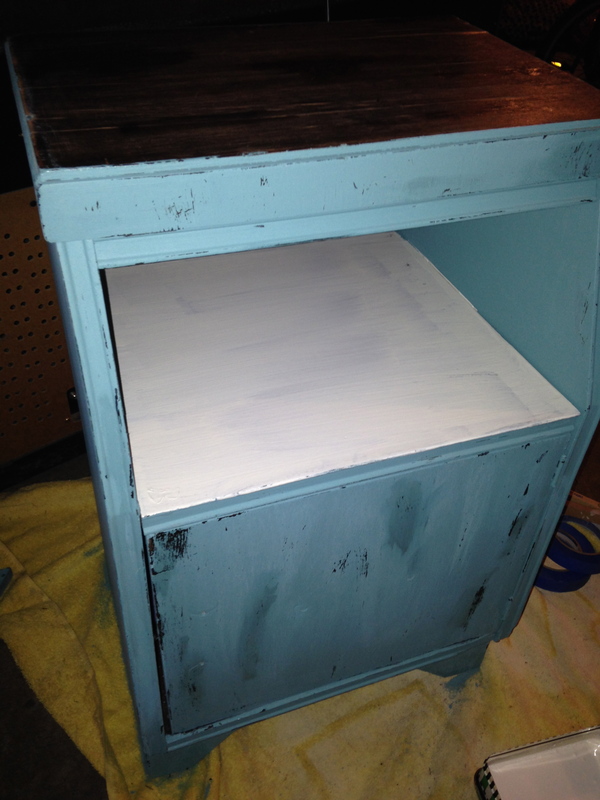 I mixed the Bali Blue with unsanded tile grout and water to my liking…following a little bit of information I got from Pinterest on homemade chalk paint…. 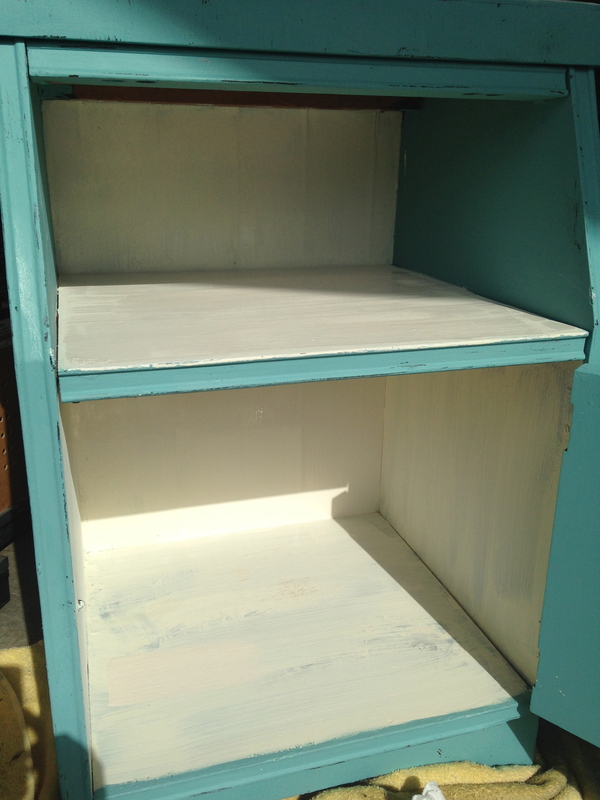 Decided I liked the inside shelf and inside cupboard and top, creamy white. 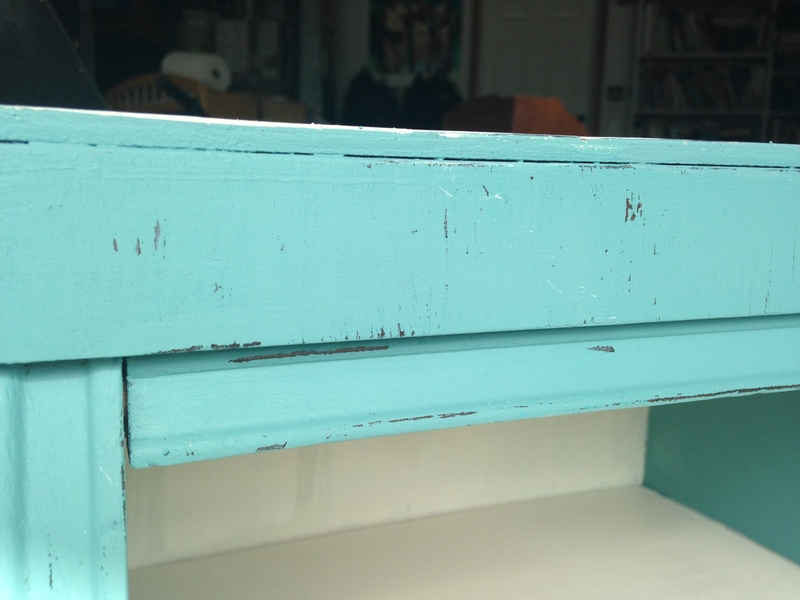 And with a second painting and sanding and then a coat of Johnson’s Furniture Paste to seal the Chalk Paint … I have a “pop of color” in the Guest Room (my 13 year old artistic and creative daughter’s suggestion)…Voila!!!! I have had my creative spark re-lit! Something about making something pretty, nice or functional out of stuff I have already is wonderful. It makes me smile and I get a short term feeling of accomplishment in this “always a work in progress” world! Go, create something…even if it is small!!!! !